I’m always looking to expand my collection with awesome toys. It can take a while to do research on all of the best ones. So I wanted to make a compilation of all my favorites. 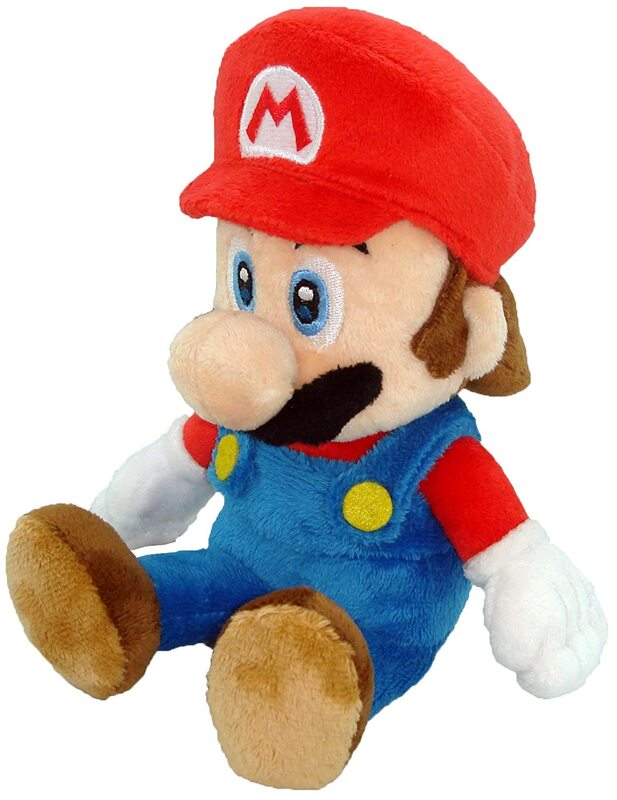 So, a major list of all Mario plush toys is finally here. I’ll be showcasing SO MANY great toys. Really, there’s a lot. I have so many memories of all of the Mario characters. I really love them so I’m happy to show you the best ones. The Mario series is one of the most well known franchises out of all of the Nintendo games. Not even just Nintendo but, all games in general. Mario characters are very appealing since they’re just so happy, memorable, and full of color! That’s why they work very well as plush toys. They really are “all that”. I’m including terrific toys of Mario, Luigi, Princess Peach, Daisy, Rosalina, Wario, Waluigi, Toad, Bowser, Bowser Jr., Koopa Kids, Mushroom Power up, Yoshi, Baby characters, and a few enemies. Quite the list, huh? Well, let’s take a look at all Super Mario plush toys! I can’t get enough of Mario, especially not plushies of him. They remind me of why he is, of course, the greatest video game plumber of all time. From arcade games to the newest games like on the Nintendo Switch, he always has a smiling face. Quite the mascot for Nintendo. Mario is so determined and ready to face danger to save Princess Peach. It really shows why he’s a wonderful hero! 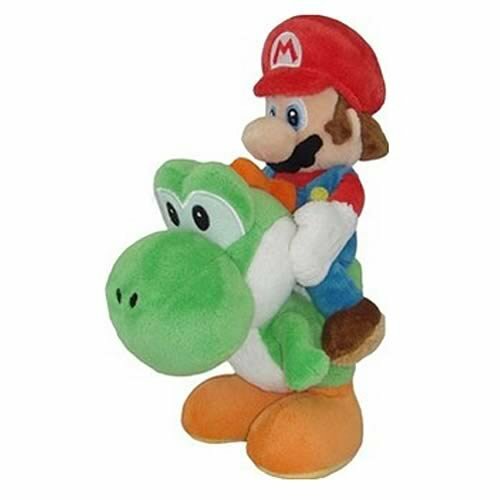 Especially when he’s riding his trusty dinosaur Yoshi. Point is, Mario is a great character and he will forever be popular. Especially in my eyes and I’m sure in the eyes of all Nintendo fans too. That’s why he’s starting off my list. There are so many Mario toys so I will just show you a few of my favorites. These are my favorites in terms of looks and quality of materials. So you can be sure they are very durable. They are authentic plush toys. The real deal. These plush toys are very soft, so they do not stand up but, they can lie down or stay in the seated postion. I think it works better that way. They tend to look much cuter. All of these guys are made by either Sanei or Little Buddy. They are both great quality toy manufacturers. In fact, there usually isn’t much difference in quality between them. Each plush is 8-9 inches tall depending on which one you get. I’m a sucker for the Yoshi, Squirrel, and Cat Marios. They’re so cute! If you’d like to see more check out these sets of Mario and Luigi stuffed animals and More Mario plush toys. 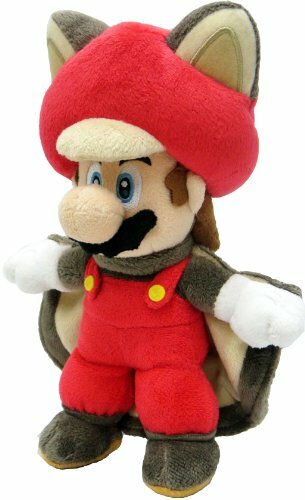 Looking for a large Mario plush? Check out this 25 inch Mario! 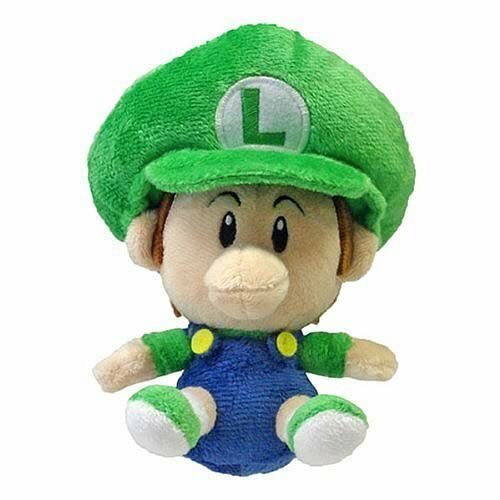 As you can see, a lot of the Luigi plushies are similar to the Mario plush toys. 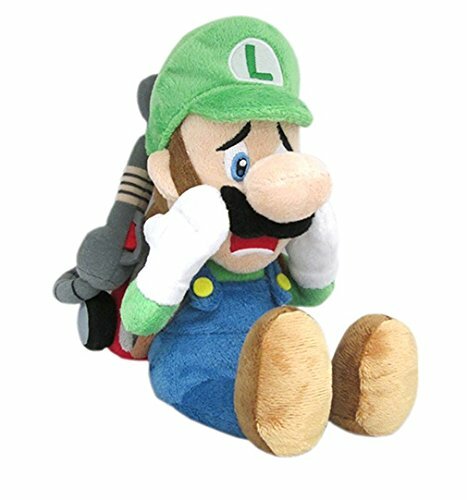 The exception is the Luigi’s mansion plush. It’s really cool! I think it really shows off Luigi’s character. Yes, he’s scared. But, he still goes on to save the day. Talk about courage! Just as much of a hero as Mario, if not more. Again, these don’t stand up because of the softness. I wouldn’t want a hard plush toy. The Luigi’s Mansion toy is definitely my favorite out of these. He gets to show just a little bit of emotion by being pretty scared. 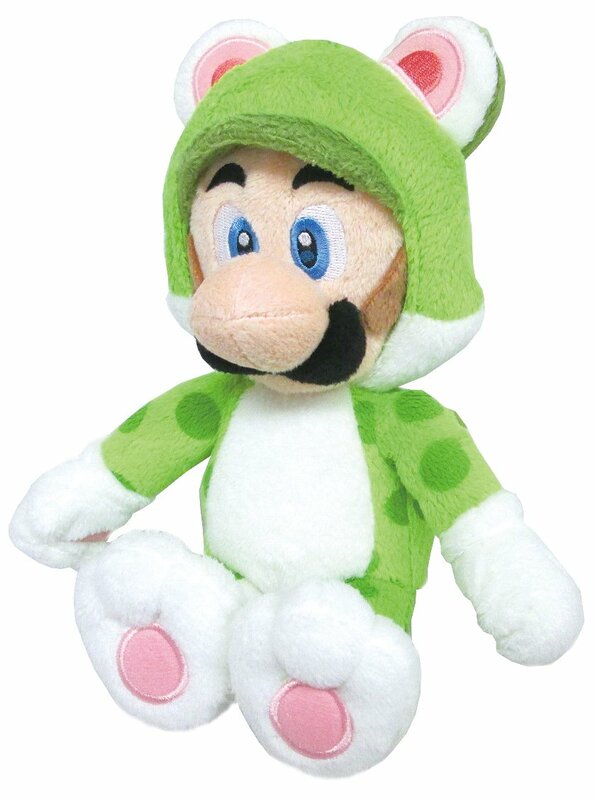 But, the Yoshi one is super cute too. I really like that Luigi’s Yoshi is yellow! 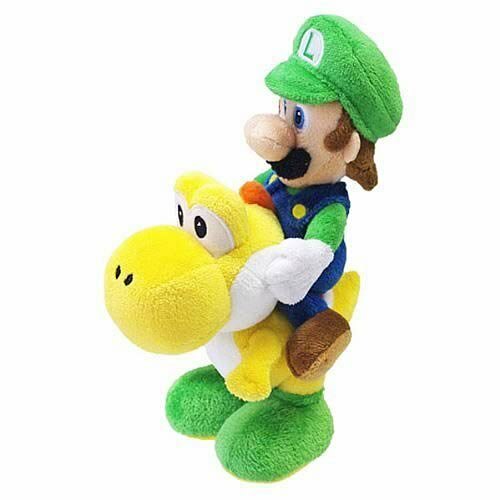 It’s a little bit different from the Mario and Yoshi plush. I think it makes them more collectible by having different color variants. 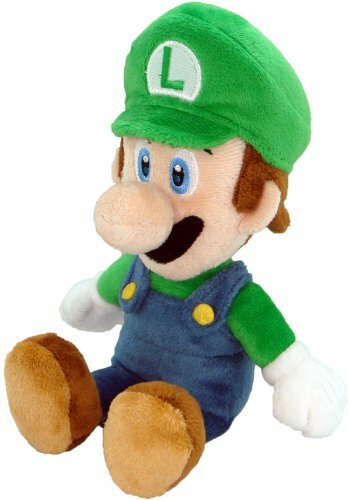 It’s not quite as big as the Mario plush but, if you’re looking for where to buy Mario plushies, something a little bit larger there is a 16 inch Luigi plush. 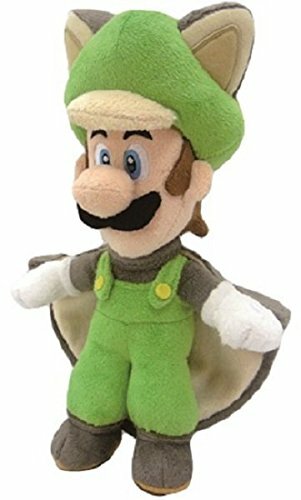 If you want to see more Luigi toys, I have a whole article on The best Luigi figurines and plushies. Princess Peach is a great character. Although she is typically kidnapped by Bowser, she is starting to show her tough side. Many spin off games from Mario show her strength but, the newest one is Super Princess Peach. She saves Mario this time! 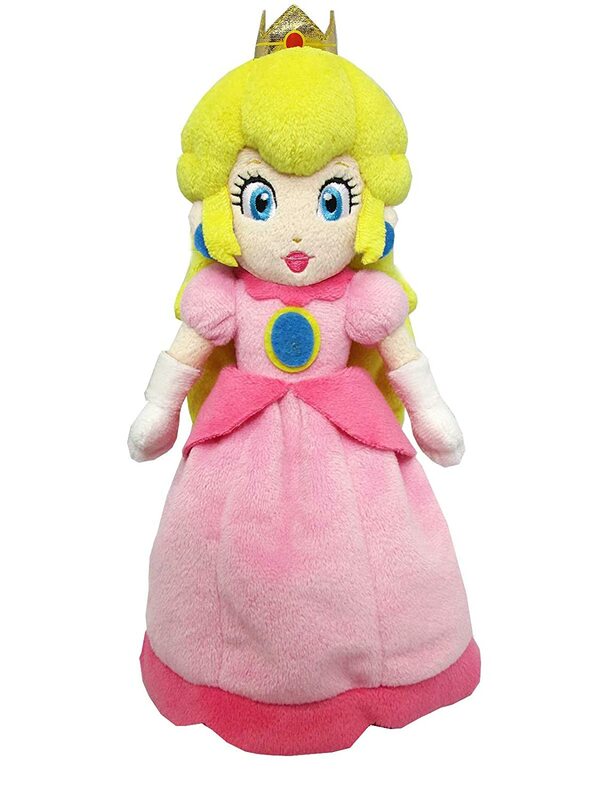 This was the best Princess Peach plush toy I could find. 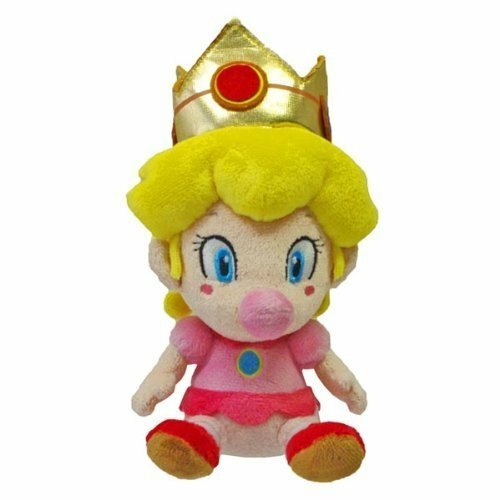 There are a few more Princess Peach plushies on Amazon too. But, this is the best in my opinion. A high-quality plush toy from Sanei. 10 inches tall and it looks just like Peach. I’m very surprised with how great this plush is. Princess Peach has a lot of fine details, especially on the face. It’s hard to make a good plush like that. One with lots of detail and looks just like the character. It’s very soft too! Sanei did a fantastic job! Rosalina is a newer character to the Super Mario roster. The first time we met her was Super Mario Galaxy where she watches over the universe. She instantly became a favorite character for many fans, including me. She is also mother to the Lumas who are star shaped characters. 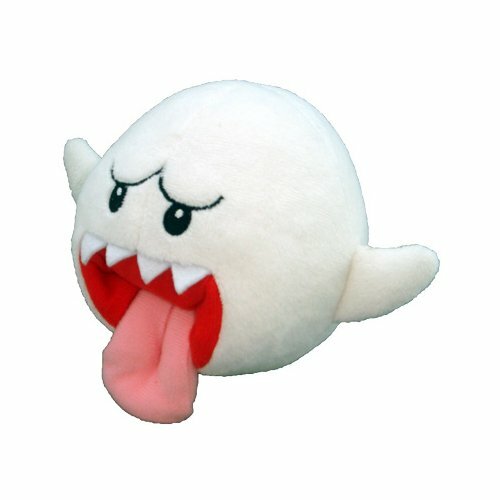 If you really like the Lumas there are a few cute Luma plushies. I think she is one of the first characters from Nintendo that felt magical to me. Just like Disney characters have that special-ness to them. There are two spectacular Rosalina plush toys. 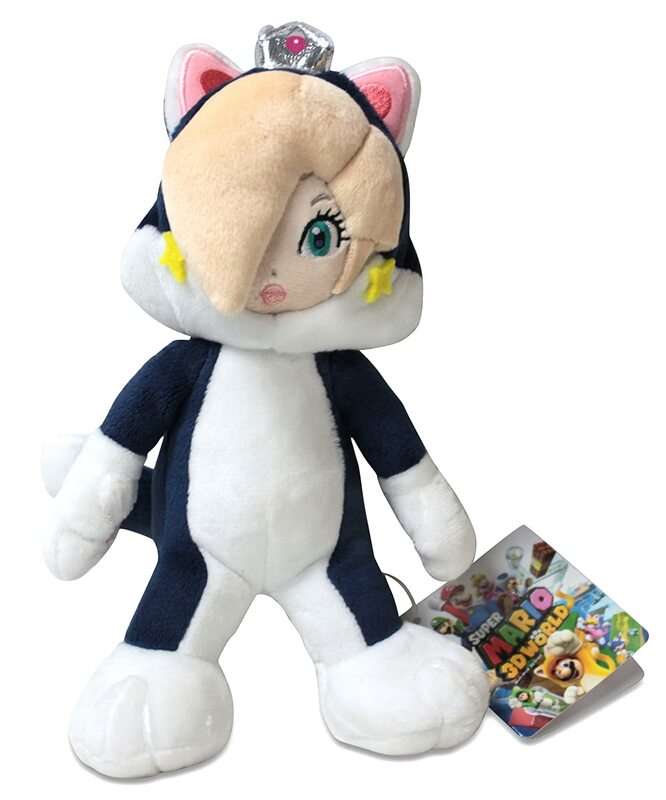 One is a Cat Rosalina, because of course, just slap some cat ears on it and I’m sold. 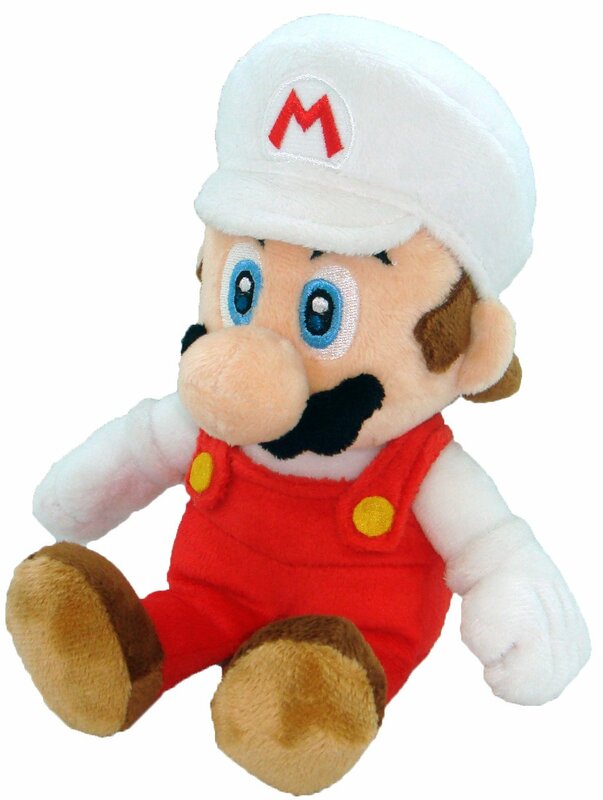 It seems to me that just about every Mario character has a cat version plush doll. They make for very cute characters. 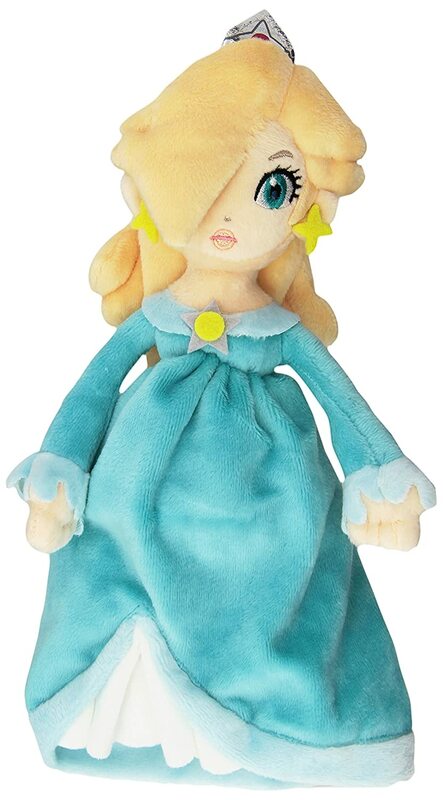 The other, is your classic Rosalina plush which is great. Her dress is very soft. Bright colors and great quality on both of these. These go great together with the Princess Peach plush and the Princess Daisy plush below. Daisy is the princess of Sarasaland which is a Kingdom much like the Mushroom Kingdom that Princess Peach rules over. She has also appeared in many of the Mario games like each of the Nintendo characters from the Mario series. Mario Tennis, Mario Golf, Mario Party, and Mario kart just to name a few. 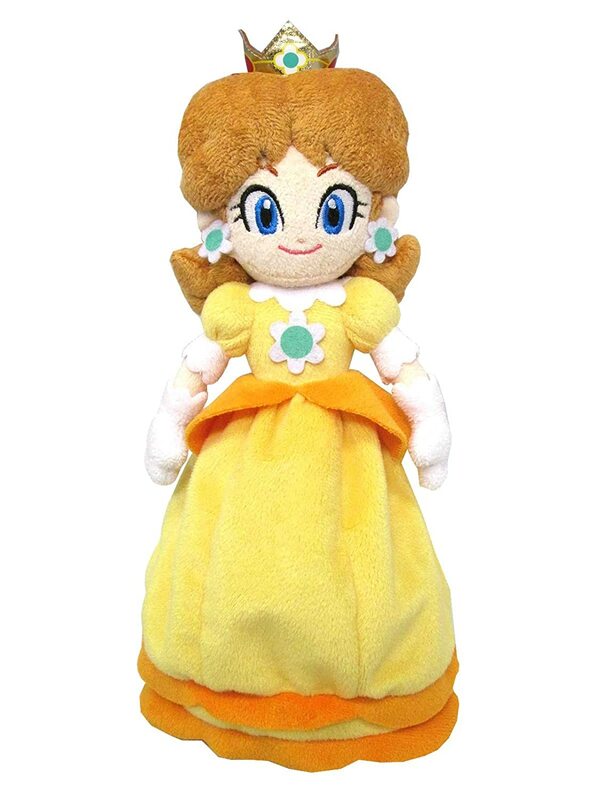 This is the best Daisy plush. I don’t even have to argue it. It’s so easy to see from how great it looks. She’s great since she made of very nice material, she is very soft, and adorable. She looks happy. This is customary for a Nintendo character. She is 9.5 inches tall and just like most other plushies she cannot stand up. She is similar to the Rosalina and Peach plushies above. But, I like her the best. In fact, I think she is the best of the three. Detail, quality, and accuracy to the character are all spot on. It’s a nice plush toy for a collector. Top notch plush toy altogether. I’m extremely impressed with her. If you want to see a great Mario plush sale you can’t forget Wario and Waluigi. These two are the evil and/or mischievous counter parts to Mario and Luigi. If you would like to get these guys I highly recommend you go for the Little Buddy or the Sanei versions of them. As I mentioned above those two companies do great work with Nintendo plushies. The two plushies that are pictured to the left are part of the Super Mario All Star Collection by Sanei. Waluigi tends to look very similar for all of his plush toys. But, this Wario here specifically looks different. Most other Wario plush toys have more exaggerated features. Like a large head. I think this one looks more well balanced. You can find all of the Wario and Waluigi plushies on Amazon. Oh man, so many toad plush toys. And they’re super cute too. How can you resist them? 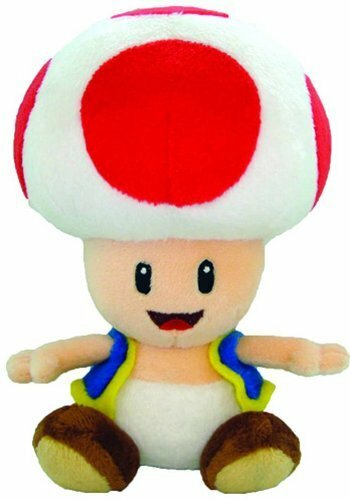 There are a lot of adorable Toad plush toys. First off we have normal Toad. He looks happy as can be. In addition to the red normal Toad, there are blue, green, and yellow Toads too. Second, we have squirrel Toad. In addition to the blue one, there is a yellow squirrel Toad as well. They are comparable to the squirrel Mario and squirrel Luigi plush toys above. 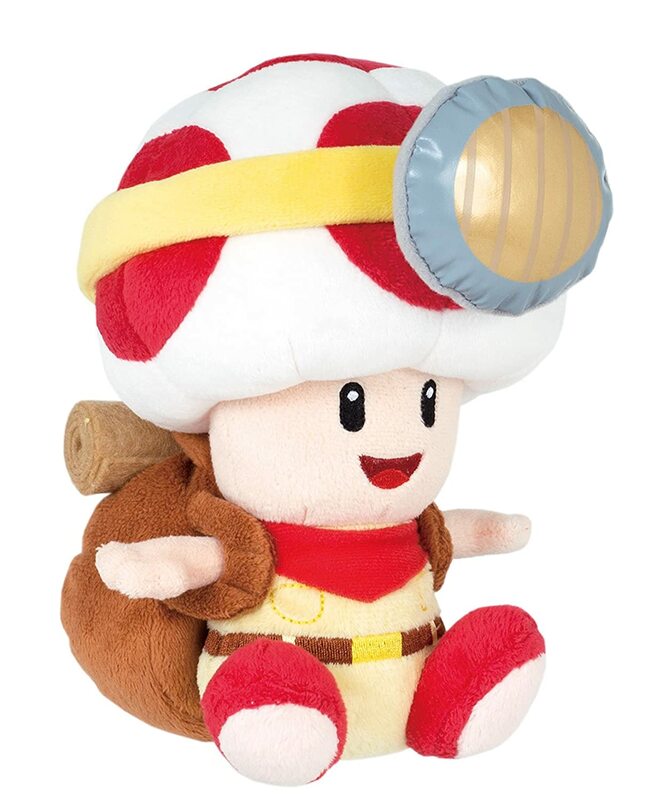 Third, There is the Captain Toad Treasure Tracker plush. There’s another version of this one which has a pickaxe and a veggie in his hands. Fourth we have a cat Toad which is super adorable with his little paws that have pink in the middle. They also have a Toadette Toad that has a heart on her head instead of the usual red circles. And they have a brown mushroom Toad also known as Toadsworth. I really like the World of Nintendo Cat Toad at the bottom right! I have a list of some of the top World of Nintendo toys if you’re interested. 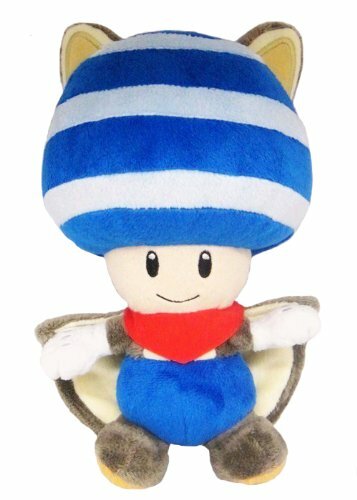 All of the Toad plush toys are listed right here. King of the Koopas, Bowser! I’m not sure what his problem is. He is always kidnapping Princess Peach and fighting Mario. He’s just no good. Except for his plush toy. 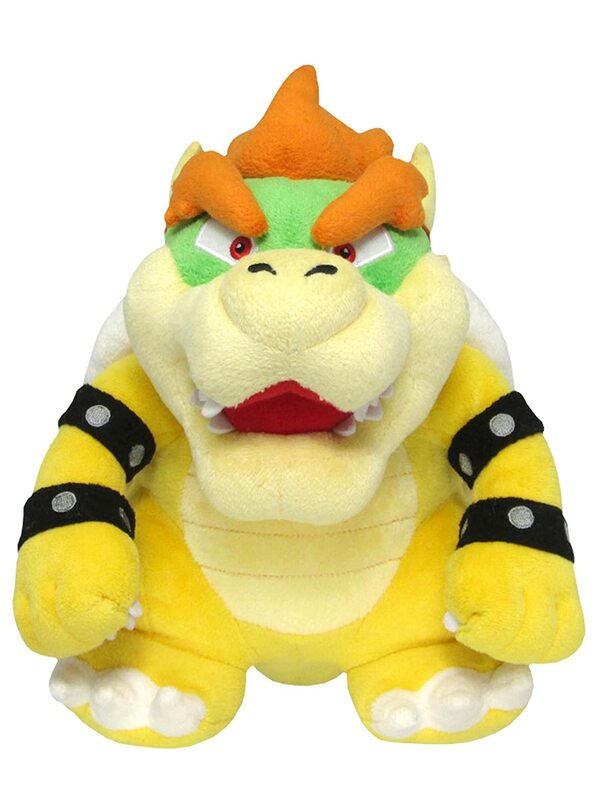 This koopa plush is about 10 inches tall. He is very cute and he has soft spikes on the back of his shell. Bowser Jr. is my favorite of the three here. I always liked the design of his scarf. It has a nice graphic quality to it. 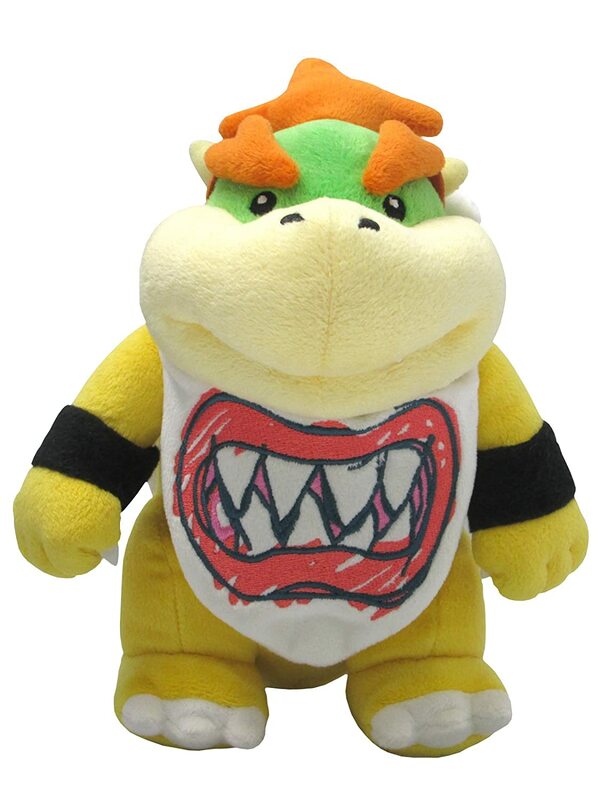 This Bowser Jr. plush really stands out from it’s competition. 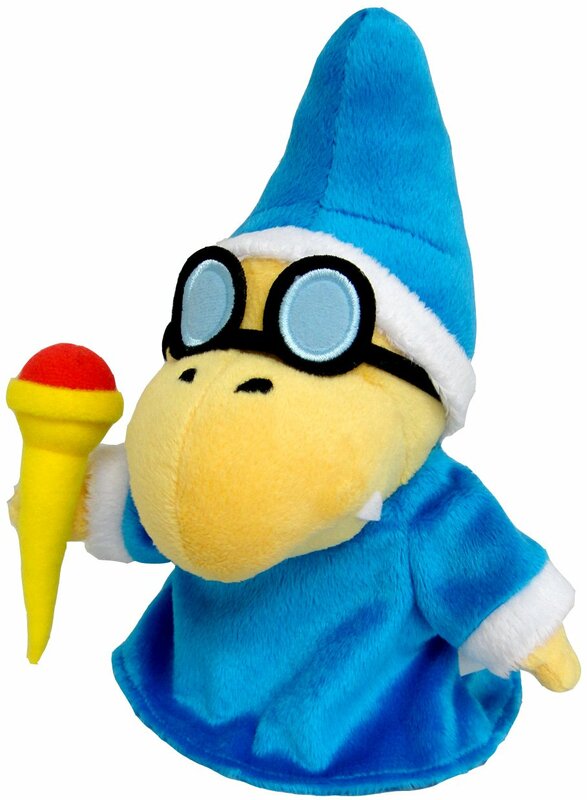 None of the Bowser Jr. plushies look nearly as good as this one. Once again Sanei is standing out from the crowd. Last up but not least we have the Koopa Kids. They were boss enemies in Super Mario World. I think it’s pretty neat you can collect them all in addition to bowser. There is actually a deal to get all of the Koopa kids bundled too. 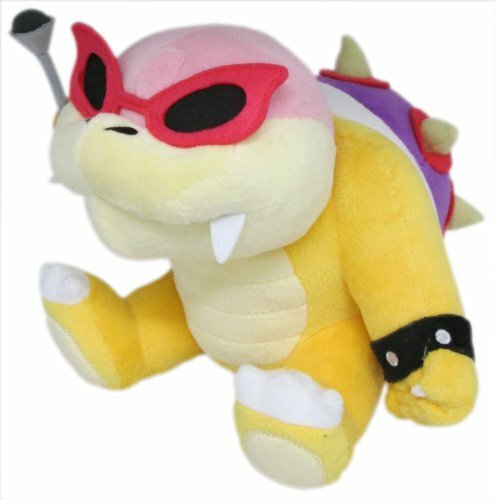 There are more Koopa Kid plush toys on Amazon. 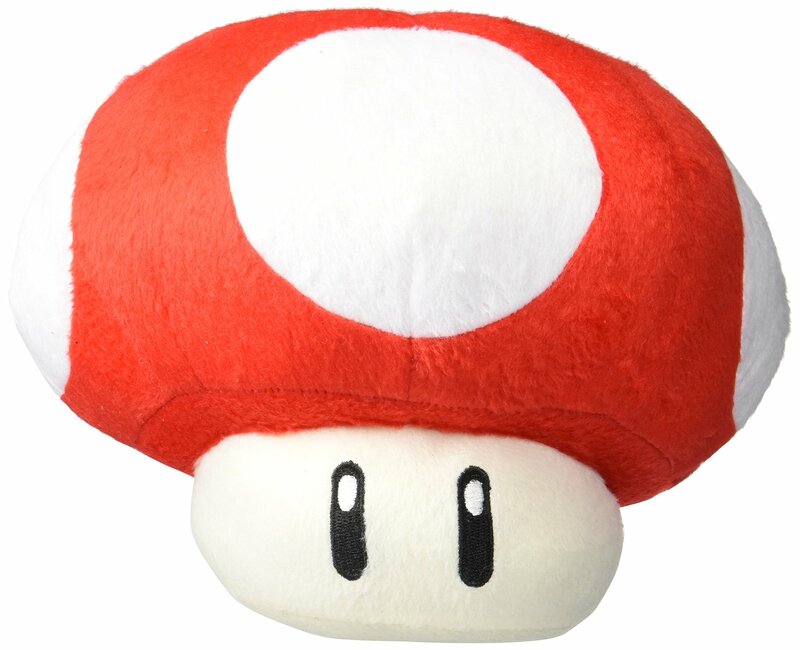 The power up mushroom makes for a fantastic plush. I remember these guys from all of the Mario games. They always help out in a pinch making Mario super. First of all, it’s a super cute plush. No denying that. Just look at it! It’s a perfect size. It’s about 8″ tall. That’s about the same size as a soccer ball or volleyball. Very soft and cuddly plush. It’s very durable too. You can squish him if you want like a stress ball. But, Who’d want to hurt this little dude? This power up mushroom is great for collectors and for casual play. The mushroom goes great with other Nintendo characters! He fits right in with the crowd. All around great quality for this plush and he is definitely my favorite power up plush toy. So many great characters from the Mario Brothers series. 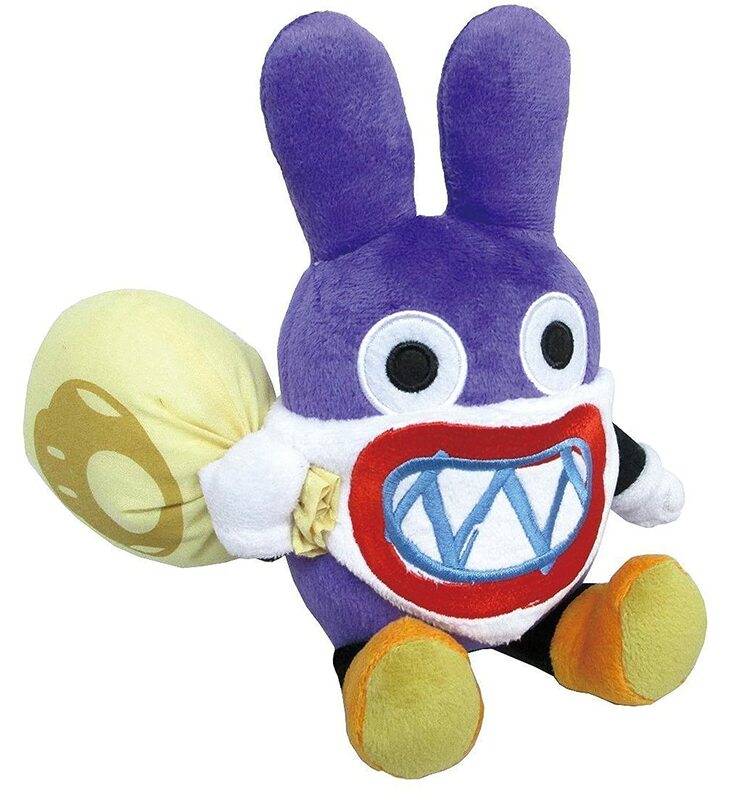 These enemy plushes are super cute, even though they are bad guys. These are all officially licensed and quality plushes. The first one here is the Nabbit plush. He’s such a cute little critter but, don’t let that fool you. These little guys can be quite mischievous. Nabbit is a rabbit that likes to nab all your stuff. He wears a mask similar to the one that Bowser Jr. likes to wear. I guess that identifies him as being a little evil. He’s very soft and well made. Excellent plush toy. Next is the boo! They always do their best to scare Mario and Luigi. They always hide their face when you look at them but, as soon as you turn your back, BOO! Wonderful plush, it’s very soft and durable, and well made. He is a little on the smaller side but, based on the quality and the price, it’s a steal. A Goomba is one of those enemies you can recognize instantly. He was one of the first enemies in the Mario series of games. You just jump on his head to squish him. He is a very nice plush. 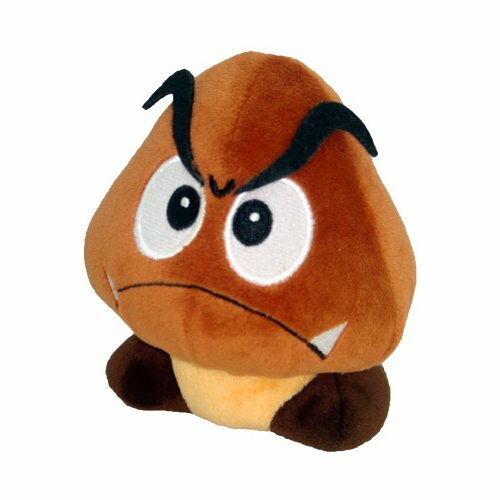 He is only five inches tall but, they also have a 12″ Goomba plush that is just as great in quality. Finally, I’m also showcasing the Magikoopa plush. I remember him shooting spells at me in Super Mario World. 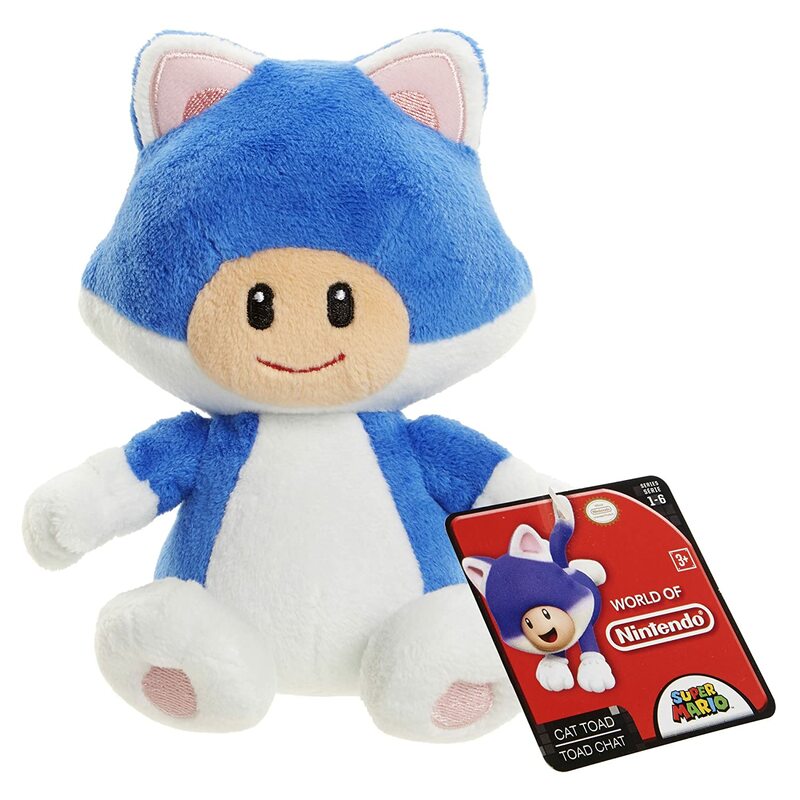 He is also a really nice plush but, he can be hard to track down. Very soft and great for a collector! There are so many more plushies I wasn’t able to cover in this post. Mostly all of the different enemies from Mario. Bomb Ombs, caterpillars, cheep cheeps, buzzy beetles, Lakitus, koopas, hammer bros, Birdo, shy guys, bullet bills, fuzzies, cactus enemies, and more. Check some of those out here! Little Buddy’s Yoshi is great. They have so many colors to choose from. I’d love to get a full collection of them. Each of them is a different color and they have separate shoe colors too! They have green, pink, red, black, white, light blue, yellow, purple, orange, and dark blue. If you are a big fan of Yoshi, having all the colors is very special. They are 6 inches tall and I love how cute they look. They are officially licensed and of course, that means it’s made very well with good materials. 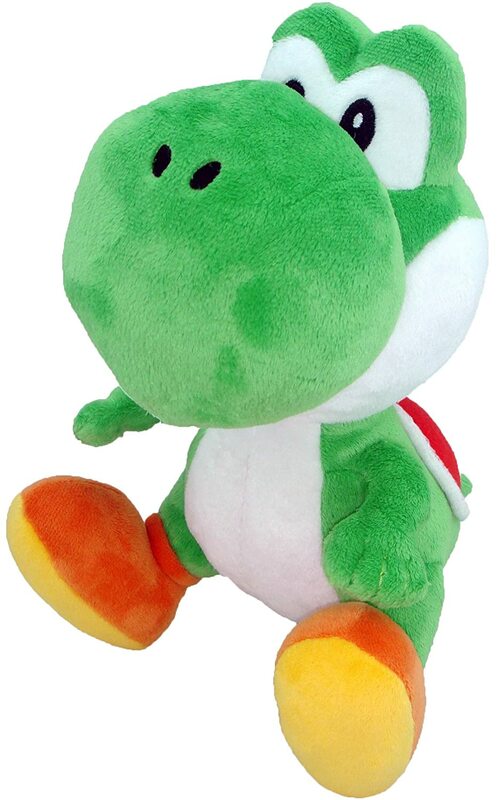 There’s a lot of companies that make Yoshi plush toys but, I prefer to stick with Little Buddy for the great guaranteed quality. I’ve also seen a Yoshi egg plush. These baby Mario plush toys are awesome. They are officially licensed just like most of the other plushes I’ve covered so far. They are adorable. I remember going on an adventure with the Yoshi and baby Mario. It was a game called Yoshi’s Island for Super Nintendo. Now you can go on your own adventures. They are at a great price too! They only sit at about 5 inches tall but, they are indeed babies so they should be smaller, right? I’m very impressed with them. I would highly recommend these toys. There is not a plush toy on this list that I wouldn’t recommend. All Mario plush toys here are wonderful. Most, if not all of these are officially licensed and are very well made. I hope you enjoyed this list and know where to buy Mario plush toys. 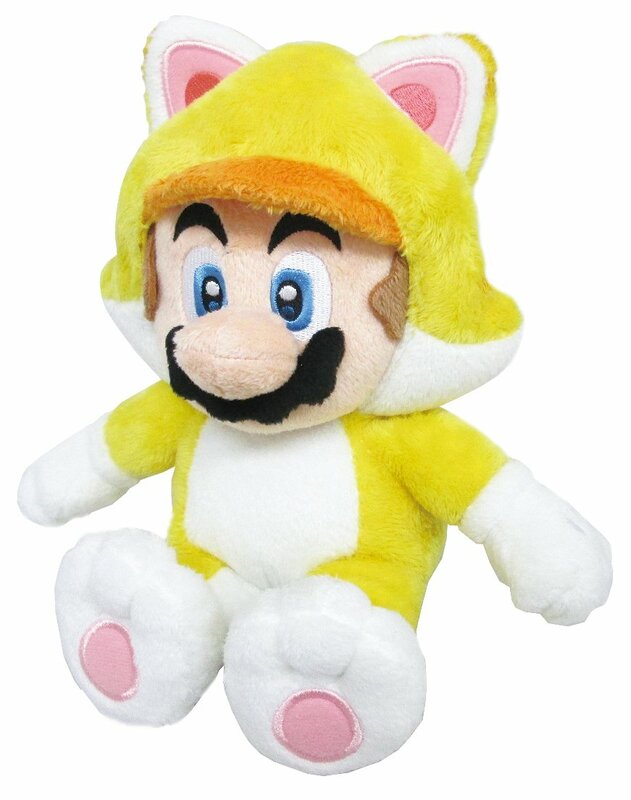 Happy hunting for the best Mario plushies. 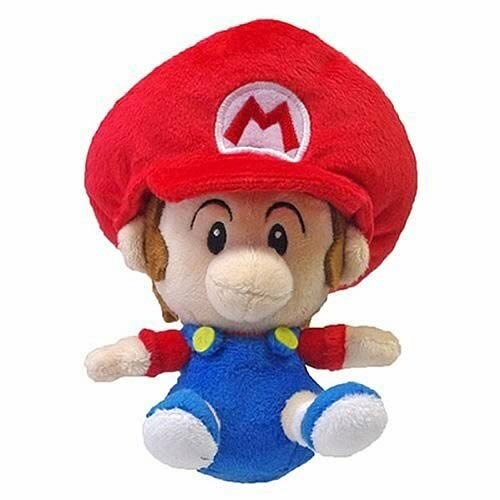 Adorable plush Marios! I love them all.